A stunning ring, finding the balance between trad-celtic and modern design. 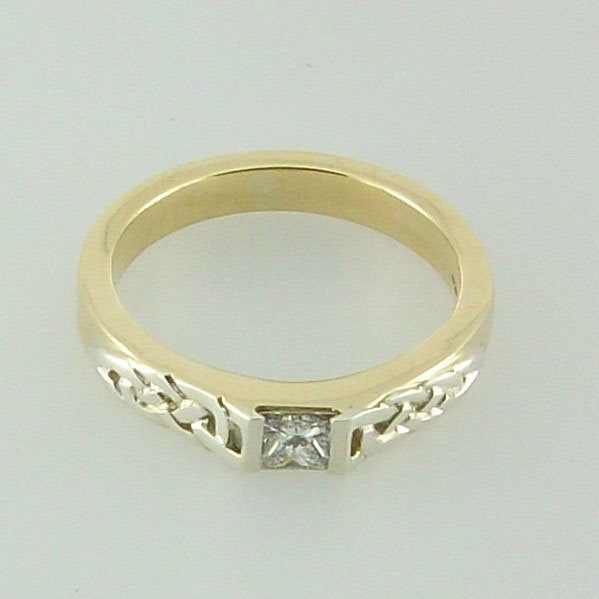 The Carloway ring has a 9ct yellow gold shank with celtic design shoulders set in white 9ct gold. In the centre of the white gold design is set with a princess cut Diamond 4mm. Design John M Hart 2012. The ring is hallmarked at the Edinburgh assay office.